David practices civil and criminal litigation. He joined Liberty Chambers upon completion of his pupillage with Mr. Graham Harris SC, Ms. Po Wing Kay and Mr. Philips Wong. David has worked on civil disputes involving claims based on the law of adverse possession, company, enforcement of foreign judgments, equity and trust, family, landlord and tenant, intellectual property, probate, property, tort, contract and building management. As for criminal litigation, David has worked on cases involving assault, conspiracy to defraud, dangerous drugs, departmental summonses, money laundering, road traffic offences and theft. He is on the Legal Aid Panel, Duty Lawyer and Free Legal Advice Schemes. David is a bilingual advocate and can draft pleadings and submissions in both Chinese and English. Acted for the Defendant in resisting an interim injunction to restrain the Defendant from threatening patent proceedings against other parties until trial. Acted for the 4th and 5th Defendants in an application to unseal audited financial statements redacted by the Plaintiffs and to make disclosure of written representations by the board of directors to their auditors (Led by Mr. Denis Chang SC and Ms. Po Wing Kay). Acted for the Defendant in striking out the Plaintiffs’ claim for knowing receipt in the sum of HK$280M by the Defendant from a deceased director of the Plaintiffs (Led by Mr. Denis Chang SC and Ms. Po Wing Kay). Acting for the Defendant against a claim involving water seepage in a multi-storey building. Acted for the Plaintiffs in a claim for rental arrears and possession of landed property by way of summary judgment. Acted for the Petitioner in an application to vary child maintenance payments by the Respondent. Acted for the Defendant involved in making persistent telephone calls and causing wasteful employment of police. Acted for the Defendant charged with theft during period of cohabitation with partner. Acting for the Defendant in a case involving a departmental summons issued by the Town Planning Department against the Defendant for failing to comply with a reinstatement notice under section 23(3) Town Planning Ordinance (Cap 131). Acted for the Defendant charged with possession of apparatus fit and intended for inhalation of dangerous drugs and possession of dangerous drugs. 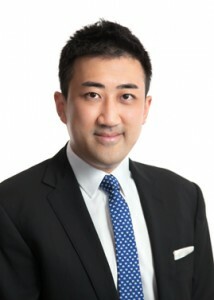 David is a mediator at HKEMC experienced in conducting mediations for disputes in commercial, family and personal injury cases. He is an arbitrator at Penta Arbitration, a mediator at HKEMC and is on the List of Accredited Mediators for Building Management Cases in the Lands Tribunal, Bar List of Mediators and Bar List of Arbitrators. © Copyright Liberty Chambers, 2015. All Rights Reserved. No part of this website may be reproduced without express permission.